I live in Gateshead and I'm willing to travel to your chosen venue to make your occasion a special day. I will liaise with the venue staff, caterers, photographer, videographer and any other service you have employed. 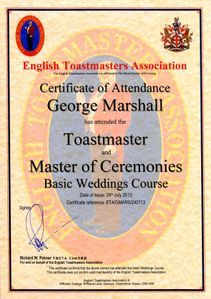 Whatever your occasion George Marshall, Professional Wedding Toastmaster will ensure that your event runs smoothly and with a touch of class. 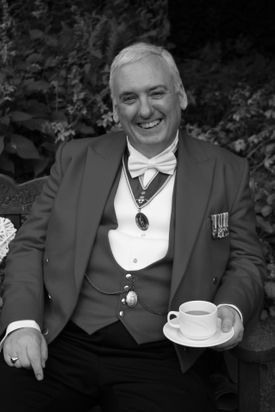 Please give me a call now on: 07957 408 337 for an informal chat or to make an appointment, or email me at: info@weddingtoastmaster.uk for a swift reply. When attending a wedding ceremony at Church, I wear a traditional tailcoat to blend in with the congregation a bit better. 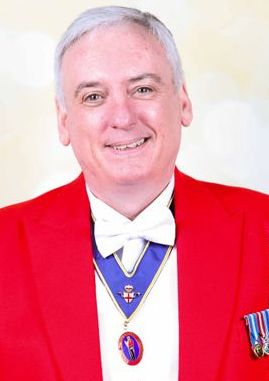 I will later change into my red tailcoat for the reception and wedding breakfast. 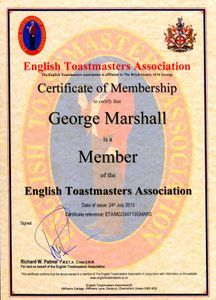 "Having been trained by the English Toastmasters Association, you can be assured that you will be getting a Professional and Competent Toastmaster and Master of Ceremonies". Having a quick break between my duties! 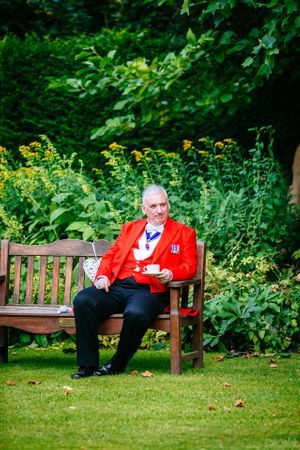 I do like a cup of tea between my duties!